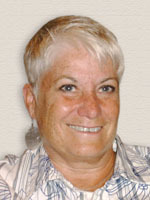 Lorna M. Earl is a director of Aporia Consulting Ltd. and a retired associate professor from the Department of Theory and Policy Studies at the Ontario Institute for Studies in Education of the University of Toronto. She was the first director of assessment for the Ontario Education Quality and Accountability Office, and she as been a researcher and research director in school districts for over 20 years. Throughout her career, Earl has concentrated her efforts on policy and program evaluations as a vehicle to enhance learning for pupils and for organizations. She has done extensive work in the areas of literacy and the middle years, but has concentrated her efforts on issues related to evaluation of large-scale reform and assessment (large-scale and classroom) in many venues around the world. She has worked extensively in schools and school boards, and has been involved in consultation, research, and staff development with teachers' organizations, ministries of education, school districts, and charitable foundations. Earl holds a doctorate in epidemiology and biostatistics, as well as degrees in education and psychology.